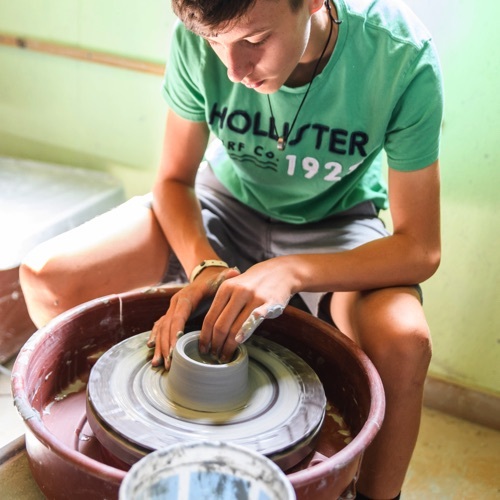 Cabin-structured Program Includes Elective Activities! 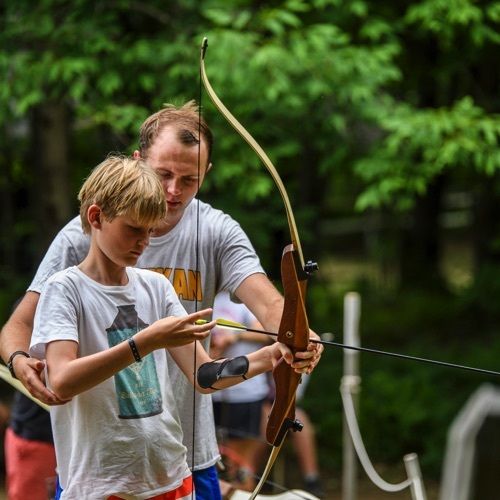 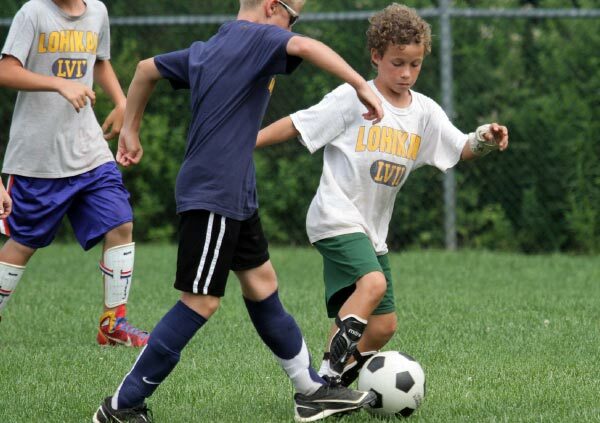 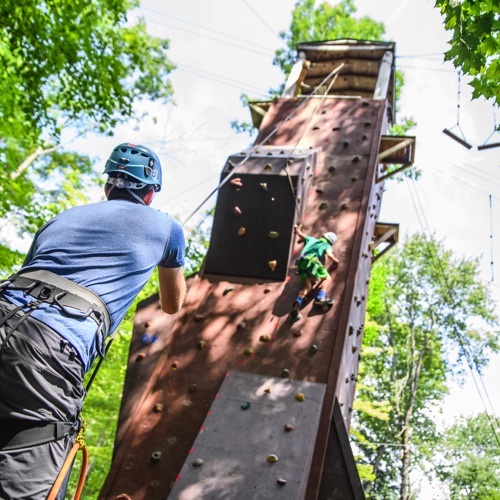 Activities for our youngest campers are designed toaccount for the different abilities and the stamina level of young campers. 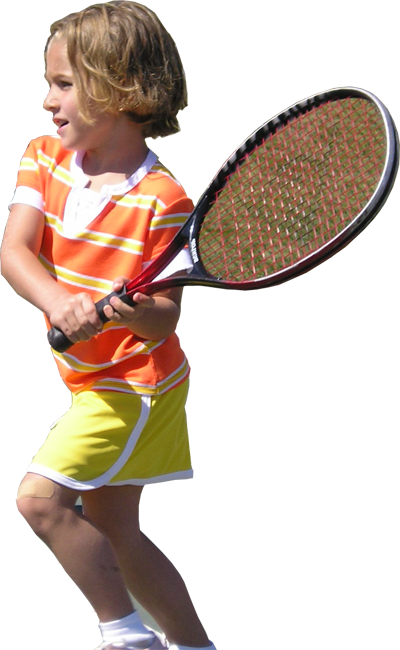 These children require more rest time, earlier bedtimes, and more structured transitions between activities. 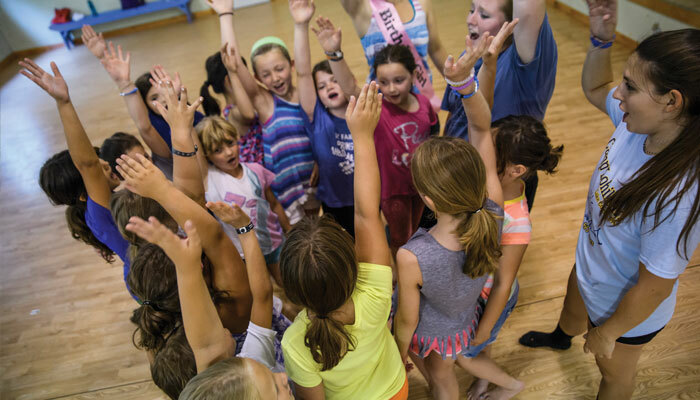 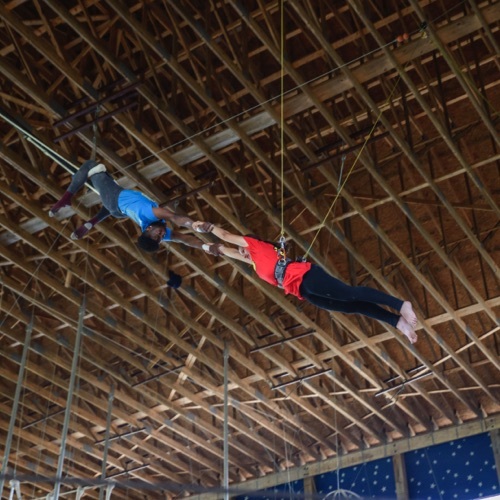 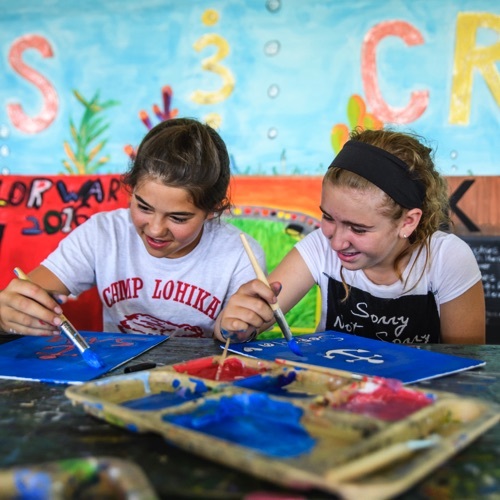 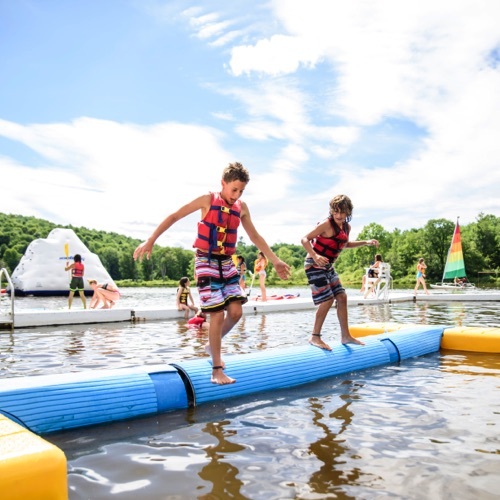 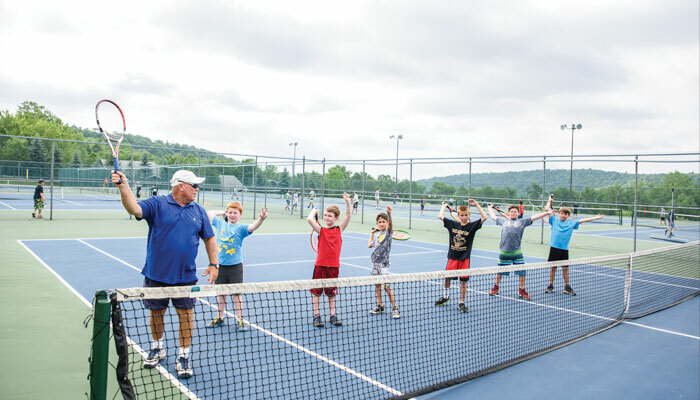 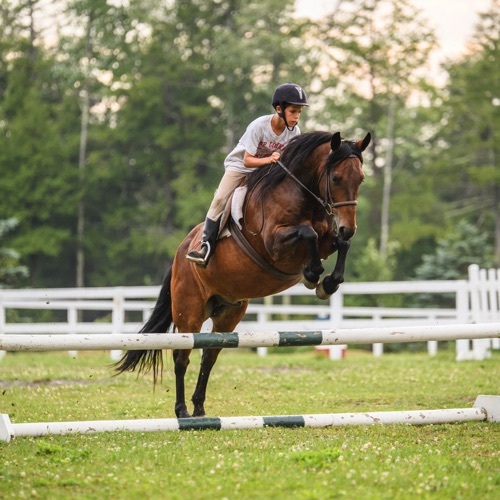 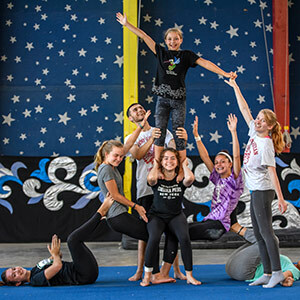 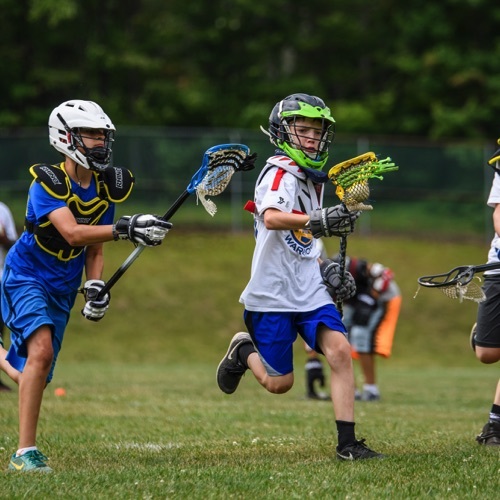 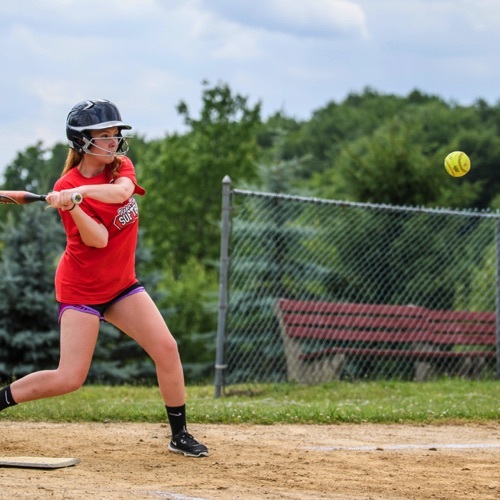 For the most part, all of the camp's arts, sports and adventure activities are made available to our young campers; we just modify them in developmentally appropriate ways. 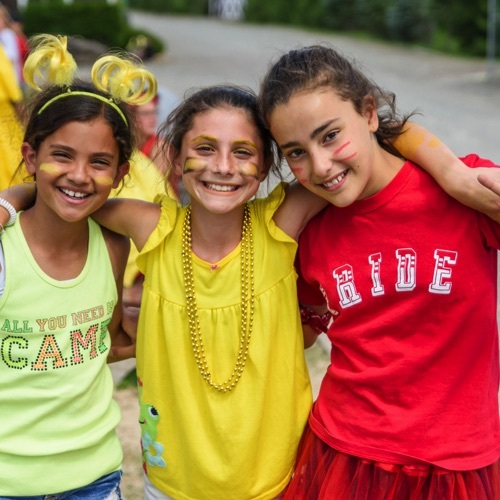 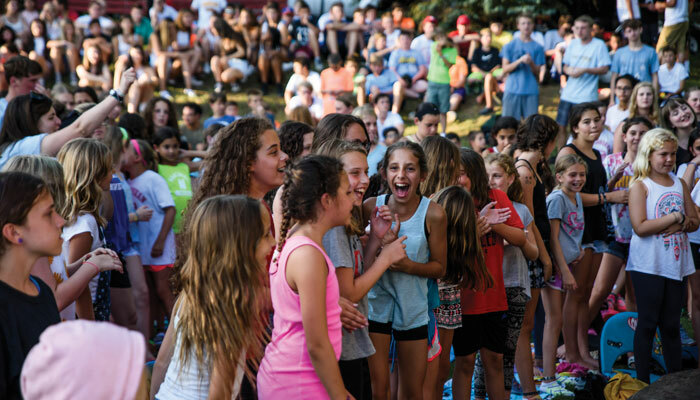 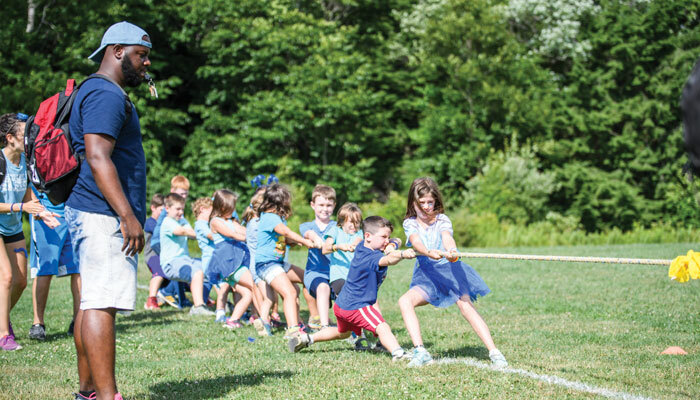 First through fourth graders travel together with their cabin counselors to a schedule of activities designed to appeal to the gender and age of the cabin group. 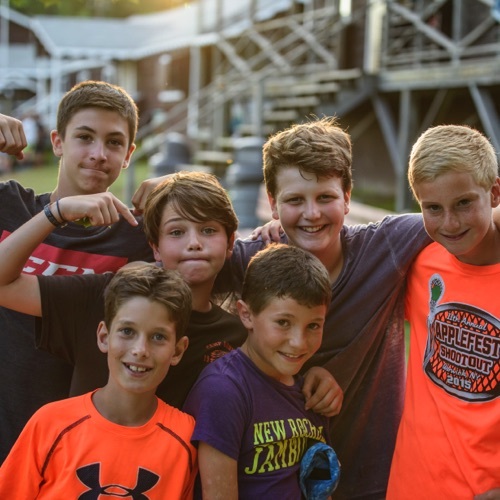 Close supervision throughout the day is accomplished by keeping the cabin group together with their counselors. 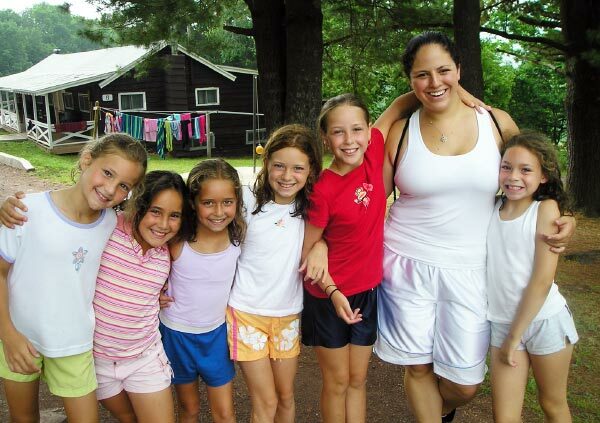 The cabin counselors are always present. 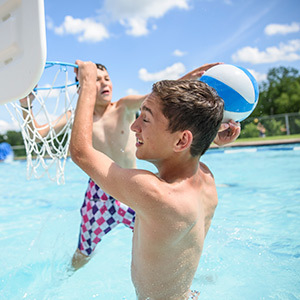 Six days a week there's a period of swimming instruction and free swim in the junior cabin-structured schedule. 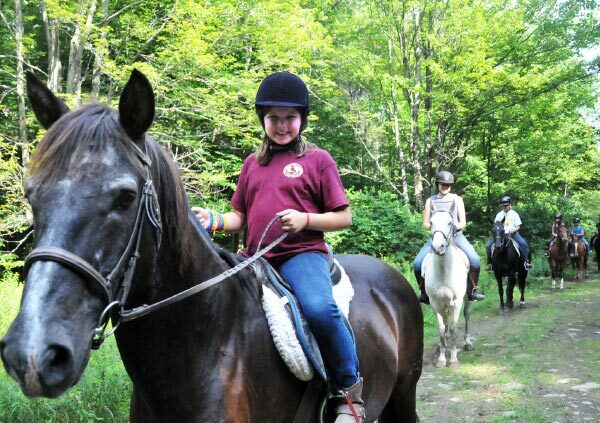 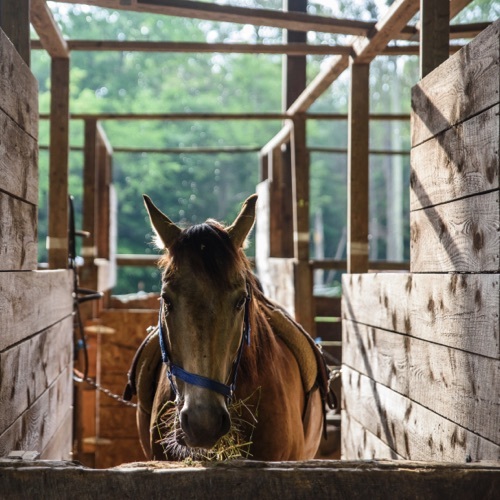 Every week there are three periods of tennis instruction, and one period of horseback riding. 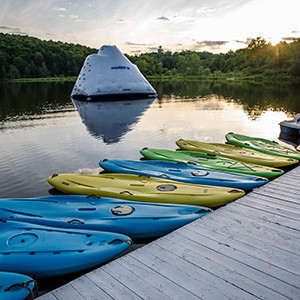 Land and water sports, arts activities and adventure activities are scheduled every day. 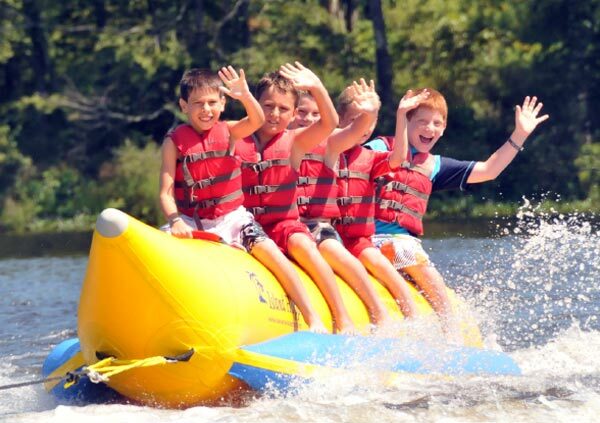 Other activities appear one to four times a week depending upon the age, gender and interest of the cabin group. 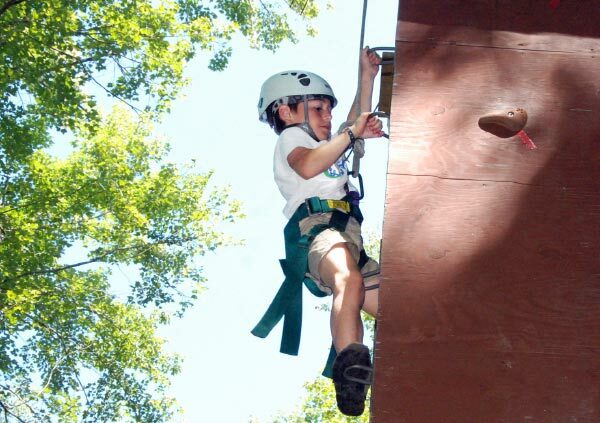 The supervision that junior campers require is only possible with a cabin-structured format. 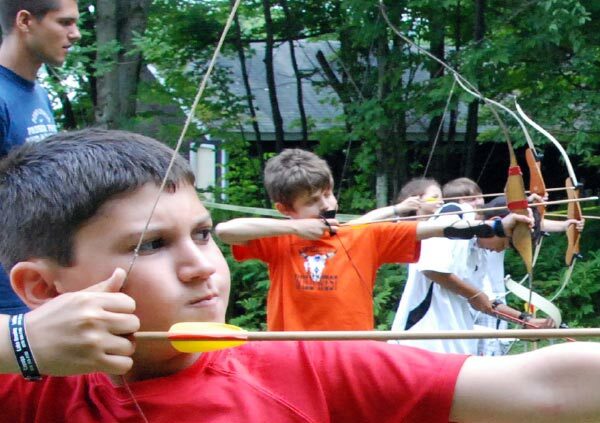 But what happens if the child isn't interested in the activity offered? 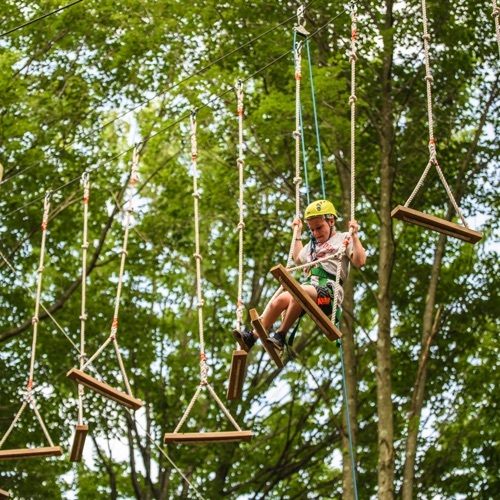 What's unique about Lohikan's cabin-structured format is that it's designed to allow for individual choice (electives) within the structured format. 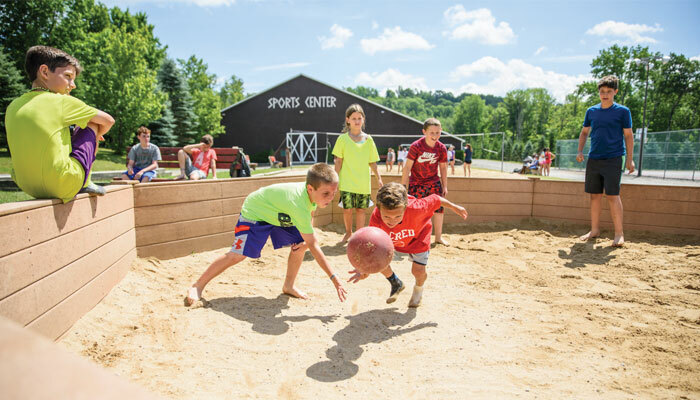 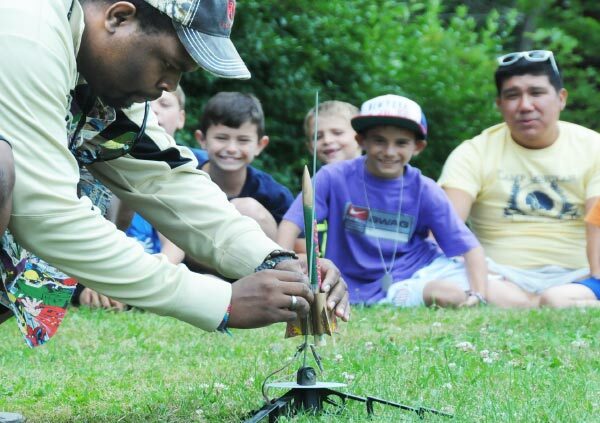 If a camper isn't particularly interested in one activity operated at the site, one of the electives will do the trick! 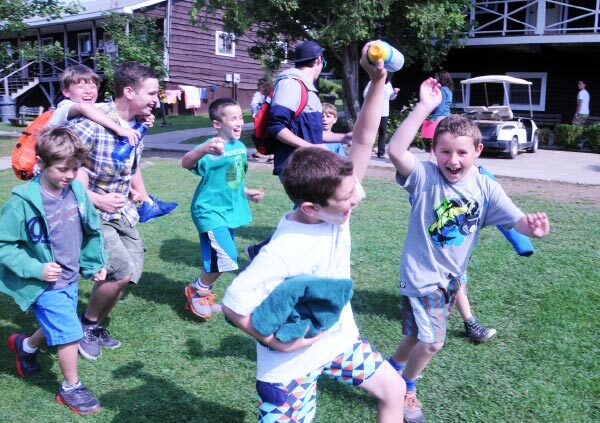 And giving the camper choice builds enthusiasm, maintains camper interest and promotes independence! 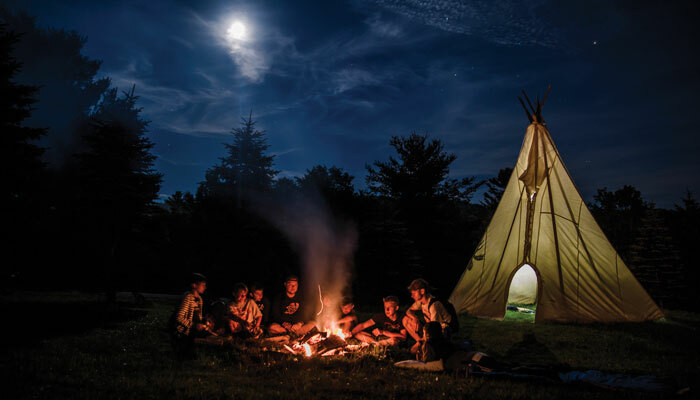 We're able to offer electives in the cabin-structured format by locating certain activity sites in close proximity and staffing them with appropriate instructors. 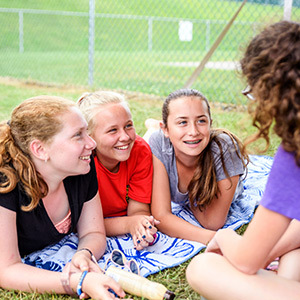 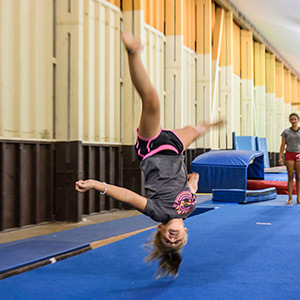 No matter which activity is chosen, the campers are always within sight of their cabin counselors.